The Fantastic Four and the big screen haven’t really seen eye to eye. First there was the unreleased movie from 1994, really only made so Constatin Films could hold onto the copyright. 2005 saw another stab at Marvel’s First Family actually make it to the big screen, and despite a deserved critical panning, it was box office success, and two years later, along came Fantastic Four: Rise of the Silver Surfer. With director Tim Story sticking with the simple, kid friendly schtick that found an audience first time round, it again received a drubbing from the critics, and Foxput on their thinking caps on how to approach the super team’s big screen adventures. Which brings us to Josh Trank’s reboot, which couldn’t be further away from Story’s goofy, juvenile vision. 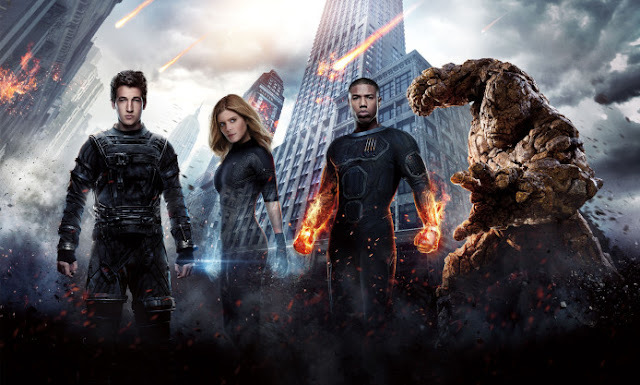 But does it buck the trend of Fantastic Four movies so far? The answer, as you may have guessed from the torrent of bad press it received long before its release, is no. Possessing the same dark edge as Trank’s debut feature, found footage super hero flick Chronicle, this new take on the characters uses Ultimate Fantastic Four, part of the Ultimate imprint of Marvel Comics that focused on updated and re-imagined versions of their characters (it also partly inspired the Marvel Cinematic Universe), as its jumping off point. Substituting inter dimensional travel for a cosmic cloud in space, it’s the same tale of science gone wrong granting four individuals with amazing powers. 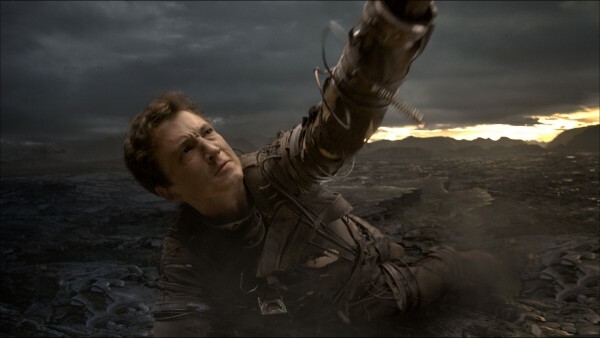 Trank does at least try to delve a bit more into the characters, focusing on the childhood friendship between Reed Richards (Mile Teller) and Ben Grimm (Jamie Bell) and the strained Storm family dynamic, mainly between adopted siblings Sue (Kate Mara) and Johnny (Michael B. Jordan), but give up about halfway through to tell just another generic superhero story, with the team just falling into their pre-destined roles (Reed is the leader, Ben the muscle etc). In terms of pacing, it moves at a speed slower than most glaciers in its first act, with nary a power being seen till about forty minutes in. Bear in mind the runtime on this is one hundred minutes, which means far too much set up for a story that's technically been told three times already. Nothing really warrants the amount of time taken to get everything in place, and even a montage just seems to slow the pace down even further. Once the dimensional barrier is breached, with an extremely convoluted plot beat seeing Victor Von Doom (Toby Kebbell) take Sue’s place on the expedition (but Sue still needs to get her powers, and how the movie twists itself like a pretzel to make this happen is laughable), and the powers are finally granted, the movie picks ups. Trank has said, on numerous occasions, he wanted to apply a Cronenberg-esque body horror element to the powers, and the scenes of the team discovering how much their trip to Planet Zero (a cute reference to the Negative Zone of the comics) has changed them really make you stand up and take notice. The look of terror on Reed’s face as he longs on his elongated leg for the first time, or the image of Johnny burning up from the inside are incredibly arresting. But sadly, this element is never fully explored as the narrative jumps a full year, and the movie barrels towards its generic super hero/super villain brawl of a finale (the sole action sequence of the movie, by the way), with any sub plots just thrown out the window and the team really forming just as the credits roll. Doom is also a casualty of this rushed narrative, only becoming relevant to the plot in the last twenty minutes or so. If you followed my coverage of this movie on the site, you’d have seen me congratulate Fox on using the villain sparingly during the promo campaign, keeping him a surprise for when you watch the movie. Well, it turns out if they did show any more of him, we would see all of Doom the movie had to offer. And while he may look like a rip off action figure you’d find in a pound shop, Kebbell does make for a truly menacing bad guy (this is Koba from Dawn of the Planet of the Apes after all), with his scenes pushing the envelope of the level of violence you can get away with in superhero movie aimed at kids. It’s a shame he’s introduced and dealt with pretty quickly. The effects don’t help either, looking like they haven’t improved much since The Rise of the Silver Surfer. Reed stretching abilities just look ugly, and Johnny in full Human Torch mode makes you think at times they just recycled the same effect from the earlier films. At least they have fun with Sue’s invisibility, making great use of her invisible force fields. The fully CG’d The Thing doesn’t look as bad as we imagined when we first heard those four words put together, and Bell is actually able to humanise this pile of computer generated orange rocks. Though they really needed to put some pants on him. Bell fares the best out of the cast, even though he’s given painfully little to do in non CG form. While he’s introduced as being important to Reed’s story, he’s pretty much dropped once Reed joins the project which ultimately grants the team their powers, being brought back into the plot in the most haphazard way possible. Teller, on the other hand, does’t seem to be even trying, reverting to full on pantomime mode for the final fight. Mara and Jordan don’t fare any better, and the supporting cast are hung out to dry. Special mention has to go to Tim Blake Nelson’s Harvey Eldar. Introduced as a minor annoyance, he becomes a full on bad guy once the narrative fast forwards a year, developing an addiction to chewing gum to show just how smarmy he is now. While Trank’s approach to the characters could have produced something interesting, what we ultimately get is a lazy and contrived superhero tale, and another failed attempt in the great big screen Fantastic Four experiment.